The most delicious, moist, and easy slow cooker chicken yet! 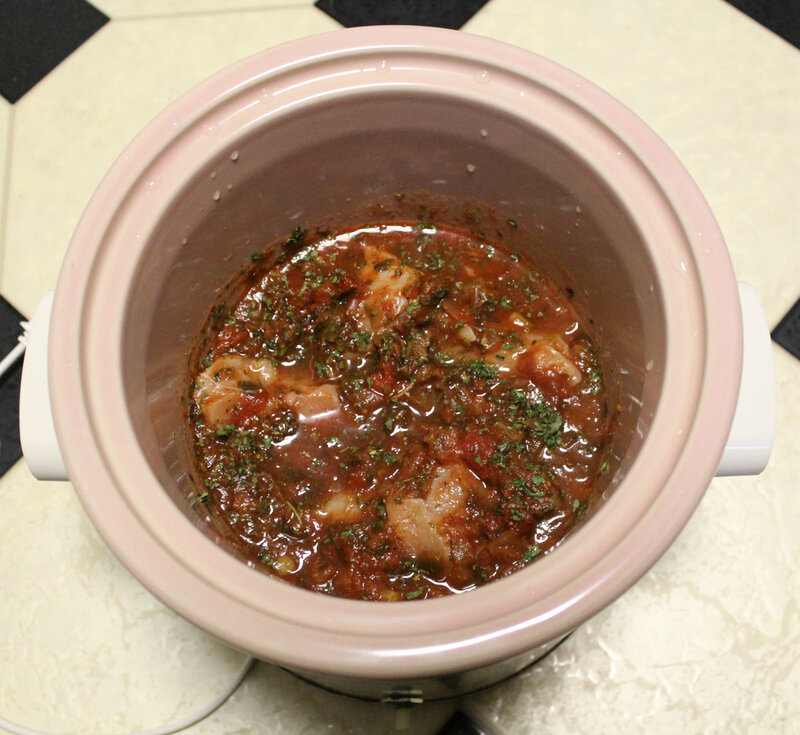 Slow Cooker Salsa Chicken requires just a few ingredients: your favorite salsa, some spices, and the chicken! The perfect healthy, gluten-free, paleo weeknight dinner to please everyone! Place the chicken in the bottom of the slow cooker. Then add your salsa, water, and spices. Give it a mix. Place the cover on and cook on low for 6-7 hours (or until the chicken it cooked through). Happy slow cooking all you busy people! This is perfect for anyone on a tight schedule and wants a healthy and delicious dish. + Do you call it a slow cooker or a crockpot? I call it both, it just depends on what pops in my head first. But I typed this post up using the word crockpot and then I looked and saw I had already set a precedent for the blog with my slow cooker balsamic chicken. So I didn’t want to use the word crockpot, I wanted to keep it consistent! You won’t need to spend money on take-out anymore! The best Chinese Cashew Chicken made right at home, gluten-free, and soy-free! A healthier recipe you can make for dinner and have the best leftovers for lunch!